Still undecided about where to holiday this summer? The family activity holiday specialist, Activities Abroad, provides the perfect holiday for families. Explore the atmospheric cities of Lucca, Florence and Pisa on this self-drive holiday - A Taste of Tuscany. Based at a traditional Italian stone renovated farmhouse, families will enjoy relaxing in the outdoor swimming pool with views over the picturesque landscape, plus pizza making, cookery - and wine-tasting for adults. More adventurous activities include rock climbing, orienteering, canyoning, mountain biking, and an introduction to caving. The price is from £590 pp (adult) and £505 pp (child aged 9-13) - based on two adults/one child sharing - including seven nights’ apartment accommodation, welcome pack, two lunches and three dinners. Car hire and guided activities extra. Departs 22 & 29 July and 12 August.Minimum child age nine*. Embark on an active family adventure in Croatia’s luscious Gacka Valley and in the UNESCO World Heritage Site Plitvice Lakes National Park. The Croatia - Plitvice Lakes Adventure is a week-long itinerary with the option to go hiking, biking, canyoning, paddle boarding, canoeing and more. The price is from £835 pp (adult) and £785 pp (child aged 8-11) - based on two sharing - including flights (London), transfers, seven nights’ accommodation and most meals. Guided activities extra. Departures throughout July and August. Minimum child age: eight*. 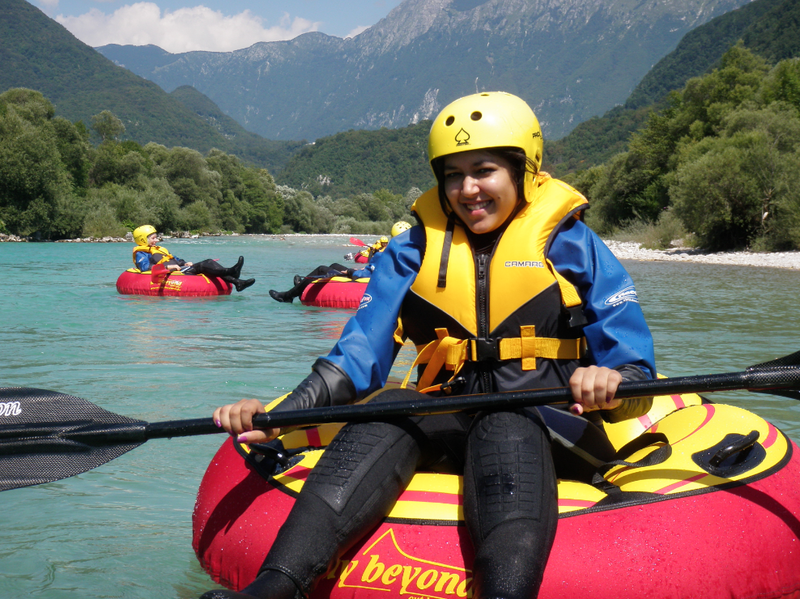 The idyllic Julian Alps, in western Slovenia and by the River Soča, provide a thrilling playground for the perfect active summer holiday. Staying at a family-run guesthouse close to the traditional village of Kobarid, the flexible itinerary offers the chance to choose which activities best suit the family. Choose from a high ropes course and rafting in crystal-clear river waters, to sliding and jumping down a canyon and learning how to climb and abseil. The price is from £855 pp (adult) and £805 pp (child aged 8-14) - based on two or three sharing - including flights (London), car hire, seven nights’ half-board accommodation and five additional lunches during activities. Guided activities extra. Departures throughout July and August.Minimum child age: eight*. Based near the Roman town of Starigrad on the Paklenica Riviera, dotted with traditional terracotta-roofed houses, this is one of the most scenic locations in Croatia. The flexible Croatia - Coast and Country Activity Week includes the option of trying sea and river kayaking, rock climbing, hiking and a visit to the towns of Vinjeraca and Zadar. The price is from £920 pp (adult) and £870 pp (child aged 8-11) - based on two sharing - including flights (London), transfers, seven nights’ hotel accommodation with breakfast, four lunches (with activities) and three dinners. Guided activities extra. Sunday departures throughout July and August. Minimum child age: eight*. The Catalan Pyrenees boast over 300 days of sunshine per year and provide multiple fantastic adventures for the whole family. 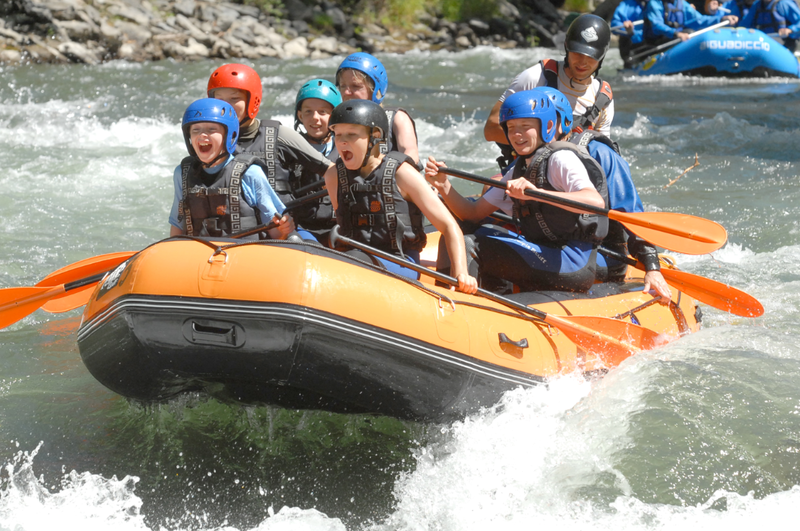 The original Activities Abroad holiday is the week-long Spain - Pyrenean Family Adventure trip enables families to experience canyoning, white-water rafting, hiking, horse-riding, mountain biking and more. Based in the vibrant Spanish town of Sort, there is a wide choice of authentic Catalonian restaurants. The price is from £940 pp – based on four sharing - including flights (London), transfers, seven nights’ B&B accommodation, two lunches and two dinners. Guided activities extra. Saturday departures throughout July and August.Minimum child age: eight*. Activities Abroad’s NEW South Africa Family Adventure covers Cape Point, Cape Town’s Table Mountain and the nearby penguin colony at Boulders Bay. 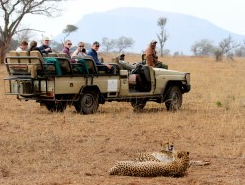 Families will go on game drives, safaris and a night bush walk at Amakhosi Safari Lodge, and visit a Cheetah sanctuary, an UNESCO Wetland Park and Zulu village. There is even snorkelling at Kosi Bay, a river cruise down St Lucia estuary and a guided tour of Durban. The price is from £2,085 pp – based on two adults and two children (child aged 8-11 years) sharing - including transfers, 14 nights’ accommodation, some meals, guided activities and instructors. Flights extra. Departs 22 July & 5 August 2017.Minimum age: eight*. *Younger children can travel but may not be able to participate in all activities due to age restrictions. To speak to an expert for more information, or to book an authentic family holiday, contact Activities Abroadon 01670 789 991 (www.activitiesabroad.com). Part of The Artisan Travel Company, award-winning Activities Abroad specialises in family travel and experiences for all the family to enjoy together. It is a sister company to adult holiday experts Artisan Travel and Northern Lights specialists The Aurora Zone. Press: For press enquiries/photography, including press trip opportunities with a suitable commission, or to arrange an interview with Managing Director, Ali McLean, please contact Julia Farish or Kate Chapman at Travel PR on 020 8891 4440 or email j.farish@travelpr.co.uk or k.chapman@travelpr.co.uk.